in may 2017 choreolab europe organized a 4-day spring lab in lisbon, where advanced and professional dancers, movers, dancing choreographers and dance students could participate. in this lab choreolab europe collaborated with the platform compota. choreolab was a good chance for getting out of my comfort zone while getting to know other professionals and artists. I enjoyed the atmosphere and appreciate very much the tools and techniques learnt. I also experienced the chance to try out some experiments in the playground, which opened new territories of research. looking forward to the next one. 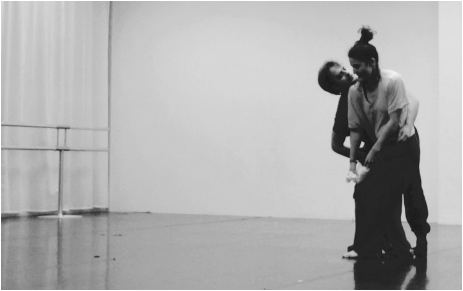 choreolab is a safe space to begin your choreographic explorations. to share thoughts and knowledge and to play with choreography with different types of movers.